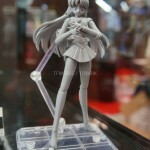 Tamashii Nations is proud to announce the second release in the Figuarts ZERO Sailor Moon lineup with Sailor Mercury! This larger scaled, elegantly sculpted statue piece highlights the character’s aquatic powers with dynamically water effects that swirl around the figure. As with the initial Figuarts ZERO Sailor Moon release, this highly detailed sculpt has been meticulously crafted and painted in exquisite detail by the team at VOLKS- the original makers of the popular garage kits released during the original TV anime run back in the 90’s. Cool off, and grab yourself a bit of Mercury Power before this fine piece is gone forever. 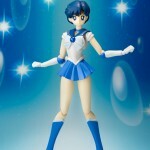 Tamashii has released their official images for their upcoming SH Figuarts Sailor Mercury figure. It’s planned for release in October for 4,410 yen in Japan. 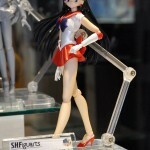 It comes with swappable hands and other accessories, read on to check it out! 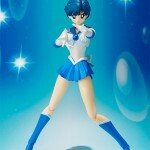 Read on to check out Sailor Mercury in color!